Swedish Simris Alg has signed an agreement with the New York-based L'Officiel Fund for financing of the company's growth and US expansion. L'Officiel Fund commits to invest up to SEK 60 million over three years in the company in the form of a share subscription facility, whereby the company may issue new shares to L'Officiel Fund in return for cash. L'Officiel Fund also receives 2.45 million warrants as part of the deal, which can be exercised at SEK 14 per share, yielding an additional SEK 34.3 million in funding. One third of the funds will be used for marketing purposes with L'Officiel, the iconic French fashion magazine and global digital platform, which recently launched its US edition in both print and digital. The L'Officiel Fund was launched in December 2017 together with Global Emerging Markets (GEM) Group, with the explicit purpose to support global and emerging luxury brands with capital and marketing support. “This partnership is really spot on for us and our US expansion”, says Simris founder and CEO Fredrika Gullfot. The share subscription facility permits Simris to issue new shares to L'Officiel Fund in return for cash, upon draw-down by the company. The shares will be issued at 90% of the average closing bid price during the 15 trading days preceding the draw-down. The number of shares that can be issued at each draw-down is based on the average trading volume during the 15 day pricing period. L'Officiel Fund commits itself to buy shares for up to SEK 60 million over three years under these conditions. L'Officiel Fund also receives 2.45 million warrants by the company, which can be exercised within three years to receive the equal number of shares at SEK 14 per share. To issue the warrants and perform share issues preceding the next annual shareholders meeting on 8 May 2018, Simris' board of directors will use its mandate from the previous shareholder meeting to issue equity corresponding to up to 30 per cent of the company's shares. The board's rationale for executing the mandate is that the partnership with L'Officiel Fund is ideal in terms of the company's market ambitions, and permits Simris to obtain substantial financing as needed. The L’Officiel Fund (www.lofficielfund.com), a partnership between GEM Group (www.gemny.com) and Jalou Media Group (http://jaloumediagroup.com/en/), is a US $ 50 million alternative investment fund which aims to promote emerging brands and develop their engagement with luxury lifestyle consumers. The Fund provides brands with investment capital to be spent on marketing efforts across L’Officiel’s USA and global network of digital and print publishing assets. Brands will benefit from L’Officiel’s print and digital advertising campaigns and value-added marketing services including; branded content, video production, social media activation, event creation, and experiential marketing, among other services. Simris Alg is a multi-awarded pioneer business producing omega-3 supplements from farmed algae. 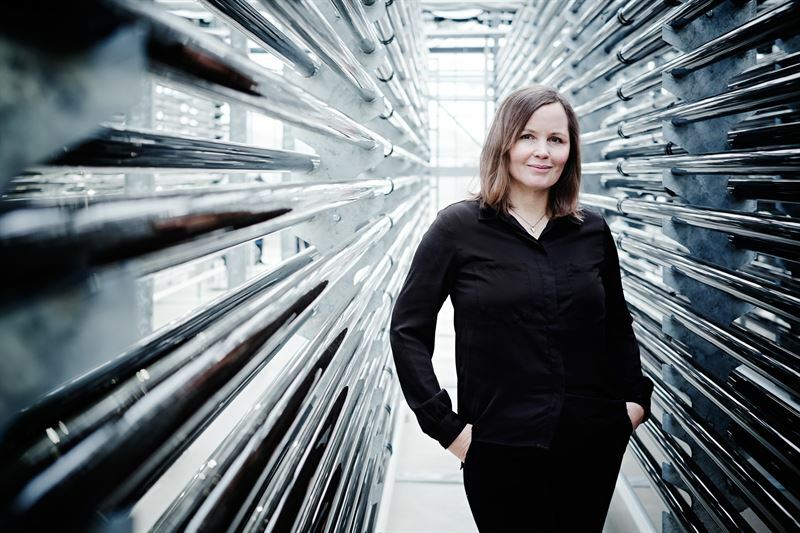 The company was founded in 2011 by Fredrika Gullfot, researcher at the KTH Royal Institute of Technology. Today, Simris operates a unique state of the art industrial algae farm for omega-3-production in Hammenhög in Österlen, Southern Sweden. The products are sold under the proprietary Simris® Algae Omega-3 brand, as a plant-based premium alternative to fish oil. The product portfolio also contains health products and superfoods from farmed algae in the Simris® Select line. Simris Alg shares are traded on Nasdaq First North with ticker SIMRIS and ISIN-code SE0008091664. Certified Adviser is Västra Hamnen Corporate Finance.